BERKELEY, Calif. -- Stressed-out University of California at Berkeley students cramming for final exams will have a chance to hug a llama -- actually, six llamas -- as Llamapalooza takes place on campus Friday. Six of the sloe-eyed, fluffy-coated critters will make an appearance between 10 a.m. and 1 p.m. at Memorial Glade on campus, courtesy of the Associated Students of the University of California, organizer Ana Claire Mancia said. This is the fourth year UC Berkeley has brought the llamas, according to Mancia, who took over the event two years ago. She is a junior and a business major at the university. "Finals can be very stressful. It's important to remind students to have fun. I think the llamas put everything into perspective," Mancia said. "It's a chance to forget about finals for a minute and have some fun," she said. Mancia estimated that 1,000 students showed up for the last event in December and said about 4,000 students have indicated on Facebook that they will attend Friday's event. The llamas are so popular, the event has been expanded this time, Mancia said. 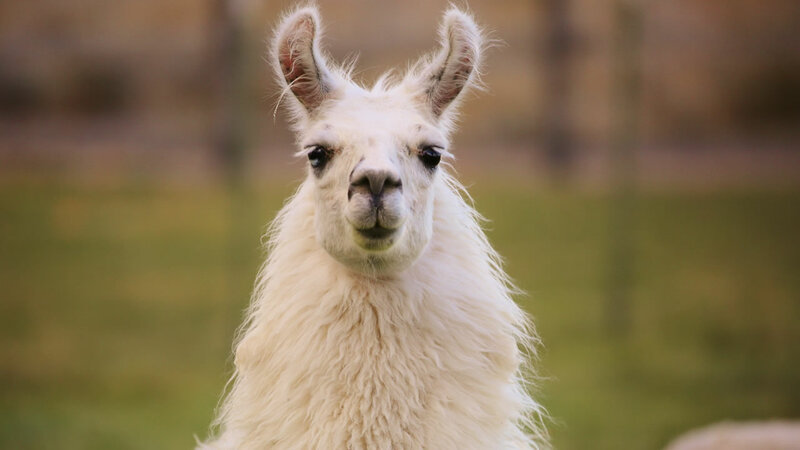 In addition to interacting with the llamas, students will be able to listen to live pan flute music and buy Peruvian crafts from Children of the Andes, an Andean student group, as well as feeding and grooming the llamas and leading them through an obstacle course, Mancia said. Rancher George "Geo" Caldwell of Llamas of Circle Home brings the llamas down from his Sonora ranch. This year, the visit cost Associated Students of the University of California $700, Mancia said. The event is for students only, although members of the media are welcome. Taking a selfie with the llamas has become a tradition on campus, Mancia said. "Students say that if you graduate UC Berkeley without a llama selfie, you didn't really go here," Mancia said. Click here for more stories about cute animals.